Save the date! 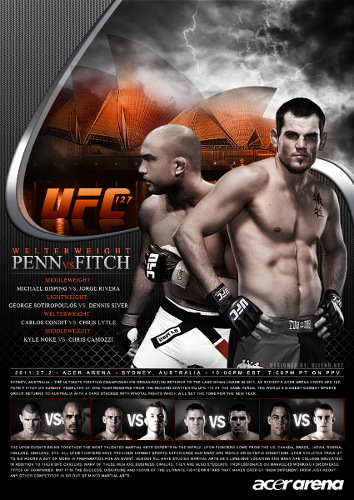 The official fighter weigh-ins takes place on February 26 in Australia. The venue of the said weigh-ins is Sydney, Australia’s Acer Arena. The very same place that will host the pay-per-view event. Doors will be open for the general public at 1 p.m. AEST local time. The first fighter will step on the scale come 2 p.m. AEST. Due to time differences, the activities will stream live in the US on Feb. 25, at 10 p.m. ET. Plus, members of the UFC Fight Club are invited to ask questions on the Q&A session with Kenny Florian. The Q&A portion begins at 2 p.m. AEST. Also, Ryan Bader and Josh Koscheck will sign some autographs come 10 a.m. AEST.